There are three vital little words—collectively called the articles—that are the workhorses of the English language. Technically a subset of adjectives, the articles are used exhaustively to determine whether nouns should be considered general or specific. You would be hard-pressed to find a sentence that doesn’t contain at least one of these words. We’re talking about the words a, an, and the here. The indefinite articles a and an are the generalists. When you write about a bandicoot or an aardwolf, you’re not concerned about a specific animal, but any animal of the indentified type; you’re narrowing the field to one creature out of many similar ones. Presumably, you have noticed that a is always used before consonant sounds and an is used before vowel sounds. This is a rare instance where sounds rather than spelling governs word choice. For example, we properly say a unicorn and an honorable man because “unicorn” begins with a consonantal Y sound and “honorable” does not voice the initial letter H.
The—the most common word in English—is called the definite article, and it functions as a specifier. Mention the Queen of England or the gross national product, and you are being precise about the singular person or thing under discussion. Unlike the indefinite articles, the can be used with both singular and plural nouns. Because the articles are so heavily used (it’s estimated that “the” alone makes up seven percent of all English prose), they could overwhelm everything else when we read. There are two reasons why this doesn’t happen. First, in the course of learning to read we train ourselves to gloss over these tiny helper words. Second, there are fairly strict conventions in English to prevent these words from standing out in regular text. Obviously, that second principle is strained when writers decide to flout convention and emphasize “the” for no good reason—for instance, by adding capitalization where it’s not required. We’ll be spending the rest of this essay talking about precisely that mistake. When it’s the first word of a sentence. Example: The breadbasket of Canada is a title often given to the province of Saskatchewan. When it’s the first word of an independent clause following a colon. Example: Two days later, Harry realized he should never have signed on for the voyage: The motion of the cruise ship triggered his migraine headaches. When it’s part of the full, formal title of a literary work, film, composition, or television series. Arthur Conan Doyle’s The Sign of Four and The Valley of Fear. Poe’s “The Tell-Tale Heart” and “The Cask of Amontillado.” The Stars and Stripes Forever, The Matrix, and The Beverly Hillbillies. It’s part of a group name, organization name, or nickname. Examples: the Ramones, the Supremes, the Organization of American States, the World Bank, the Centers for Disease Control and Prevention, the Detroit Tigers, the King of Rock ‘n’ Roll, and the Red Baron. The names of periodicals. Examples: the Los Angeles Times, the New England Journal of Medicine, the New Yorker. Artworks, documents, or musical compositions where “the” is not part of the formal name of the piece. Examples: the Brandenburg concertos, the Emperor Waltz, the Magna Carta, or the Venus de Milo. Okay, we get it. Thinking of your business as The Portia Gallucci Admiralty Law Office distinguishes it from all the competing lawyers with similar business names. The pressing question is this: does the ego boost you get from that capital “The” outweigh the potential clients who are turned away by it? 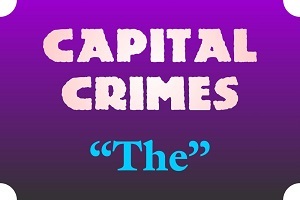 Because some readers will notice the capital The and will think it old-fashioned, stuffy, needlessly formal, or just plain wrong. Studies show that readers are alienated by nonstandard usage, even when they can’t always pinpoint what is wrong with the writing. Don’t let your vanity get in the way of your business success. Stick to conventional capitalization, and let the important words of your website content draw all the attention. Do you disagree? Great! We encourage an open discussion with readers interested in grammar and usage. Please take a moment to post your thoughts using the comment system on this page. Our whole community can benefit from learning your viewpoint.